What started out as my quirky idea a few weeks ago, has really spiraled into a unforeseen success! #MetsUnite took place on the Summer Solstice, Thursday June 21st 2018. 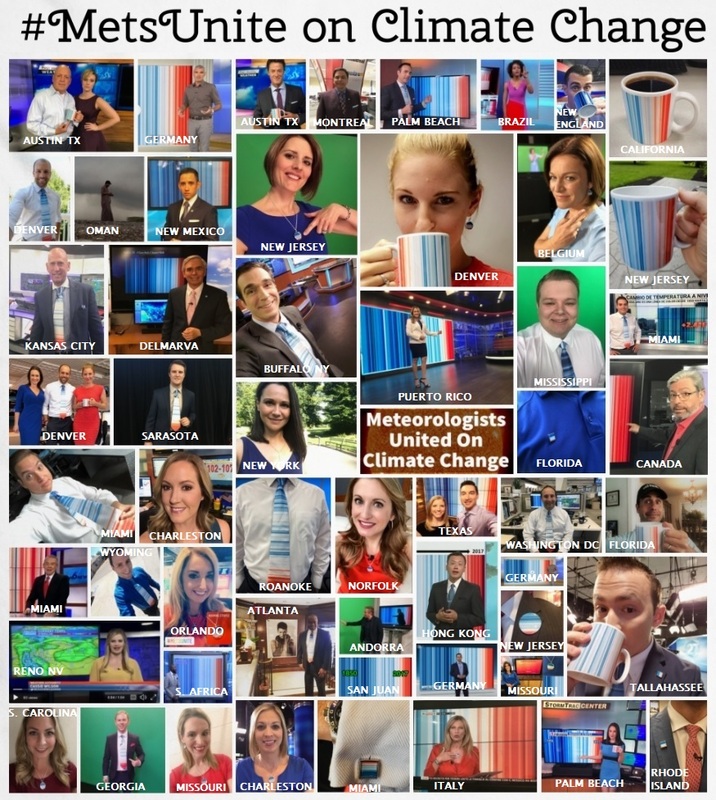 Meteorologists from all over the world including South Africa, Taiwan, Hong Kong, Belgium, Italy, Canada, Brazil and all over the USA sported the @Ed_Hawkins “warming stripes” pattern with ties, coffee mugs, necklaces etc. on TV and online. This was an “out of the box” effort to get local meteorologists more engaged with their local audiences, to bring awareness of our quickly warming globe and the impacts the viewers are experiencing locally. The message is it’s real, it’s us and it’s serious! While the exact number of meteorologists and climate scientists who took part is unknown, before the event over 100 orders had been placed. Up until the writing of this blog post we are at 450 orders and counting. This was not expected. And it goes to show that the science community is motivated to rally behind innovative ways of getting the climate facts out to general public. This was never a for profit effort. But there are royalties built into each purchase of the products. At this point the royalties total nearly $1000. Personally I spent about $275 to buy and mail products to a few folks. 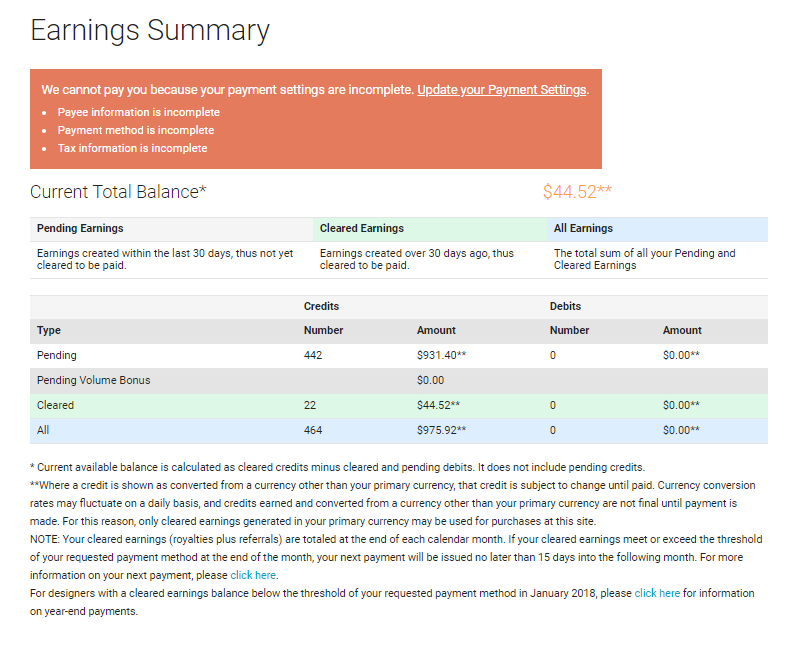 But I will Not be reimbursing myself unless the total funds reach above the $1000 threshold. 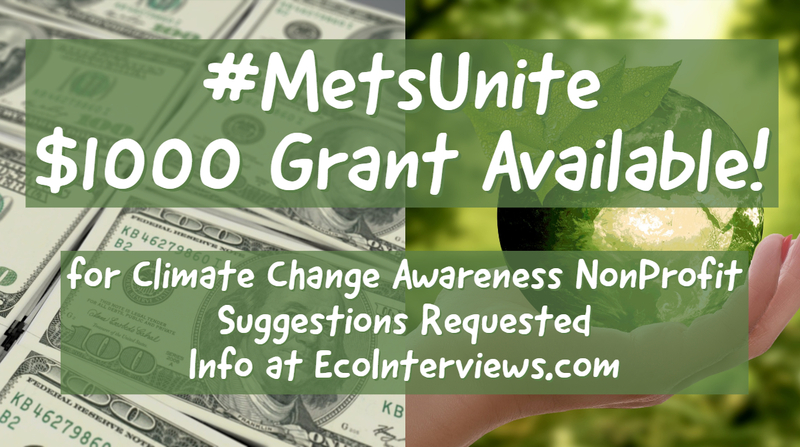 I feel the best way to use these funds is to give a grant to a climate awareness non profit. Essentially this would be a registered non profit that spends most of its time spreading climate change truth & awareness by communication and engaging the public. If you have a suggestion of a deserving climate change awareness non-profit please message me on my twitter account @WeatherProf. And please share this post with any organization who may have interest in the $1000. I will narrow it down to a few choices next week and have a poll for people to vote on their choice (probably on twitter) to decide where the funds go! For transparency purposes here below is a screenshot of the funds raised through our Zazzle.com store. You can still purchase by the way.